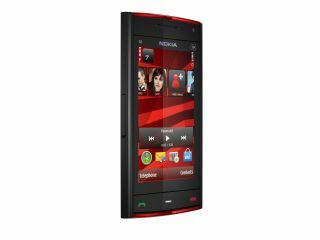 Nokia has told us it will be bringing a non-Comes with Music version of the new X6 at some point in 2010. The Finnish company has only just announced the new X6, its first touchscreen mobile phone with a capacitive display, and promised at Nokia World it will be a CwM exclusive. However, TechRadar was told at a recent event that the X6 will be offered in a 16GB (rather than the launch spec of 32GB) version, and will shed the music service offering. Online retailer Expansys is now offering this separate variant online, with a release date of February next year. The first version of the X6, with the all you can eat music service, is set to cost £530 according to the site, with an expected release date of 12 November. And the second version will come in at £345, and is expected to have a UK release date of 12 February 2010.